Read 2 times. Last read February 2, 2018 to April 10, 2018. This is a good defense of substitution as an important aspect of the atonement. Gathercole does not get into specific interpretations of substitution (e.g., penal substitution) but rather remains focused on just the concept of substitution itself. He argues that theories trying to do away with a substitutionary aspect of the atonement fall short in their exegesis. 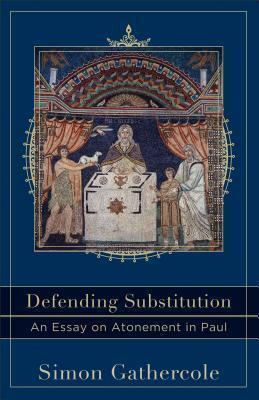 He analyzes two passages in depth, 1 Corinthians 15:3 and Romans 5:6-8, to show in the first case how Pauline substitutionary theory clearly relates to the rest of Scriptures and in the second case how Pauline usage clearly reflects classical ideas of substitutionary death. Sign into Goodreads to see if any of your friends have read Defending Substitution.